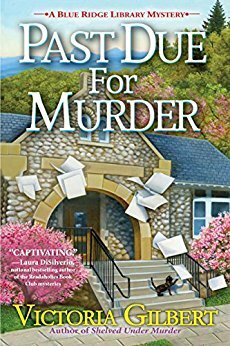 Library Director Amy Webber is back with another mystery to solve. It’s Spring in Taylorsford and Amy is helping local students and their professor research the local folklore. First up a bonfire with a gifted storyteller. There have long been talk of bobbing lights and fairies, missing gold and missing girls. When one of the girls at the bonfire disappears, things get a bit tense. Mountain people aren’t know for their openness and the good professor has been poking in some very sensitive areas that some residents want to keep closed forever. Even Amy’s boyfriend, Richard becomes a suspect for a minute. Not to mention her ex Charles is living with his newest girlfriend in the same town. Amy stumbles on a clue cleaning up after the researchers and is determined to see this through and have it all cleared up before the Mayor’s May Dance celebration. But everyone is acting squirrelly and when the missing girl turns up beside a dead body and a severe head injury that turns into a coma, the killer starts making mistakes. Will Amy be able to live through this one? I love how these books have grown. The characters are hitting their strides and I really enjoyed this one! Like that title. Everybody can connect. At least I know a few people who are past due for murder. Not mentioning any names.